Trouble In Paradise: Chikungunya Outbreak Grows In Caribbean : Shots - Health News After making its debut in the Western Hemisphere recently, the nasty, mosquito-borne illness has now sickened 10 people on St. Martin. Mosquitoes on the island appear to be spreading the virus, which causes a high fever and severe joint pain. Sun, shopping and chikungunya? 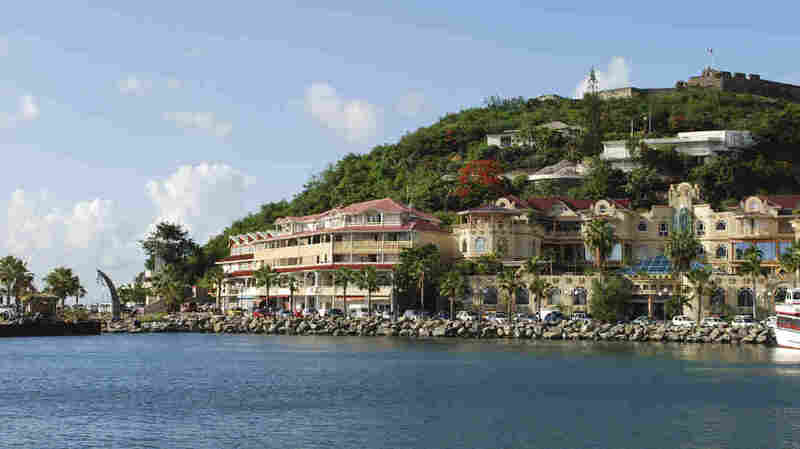 A nasty virus has sickened 10 people on the island of St. Martin in the past few months. If you're lucky enough to be heading down to the Caribbean this winter for snorkeling, daiquiris and a kick of vitamin D, you should probably think about packing long-sleeve shirts and bug repellent — especially if you'll be spending time on the island of St. Martin. 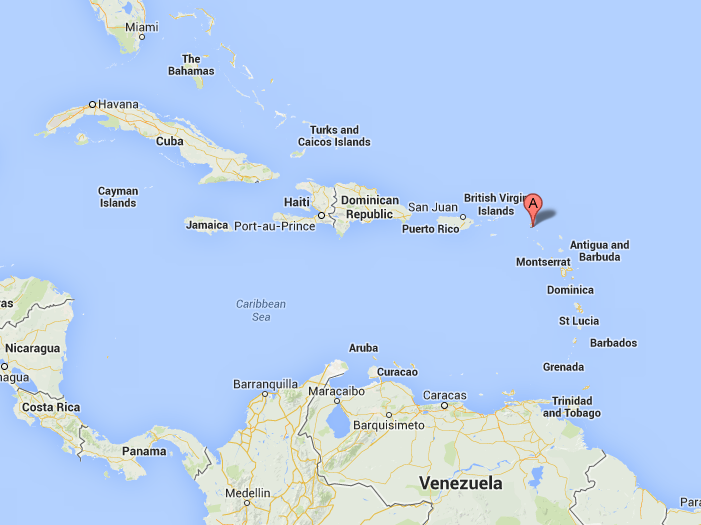 St. Martin island (A) is about the size of Manhattan and is located about 200 miles east of Puerto Rico. Last week the World Health Organization reported two cases of chikungunya, a painful, mosquito-borne illness on the French part of St. Martin. Now the outbreak has grown to 10 cases, the Centers for Disease Control and Prevention said Wednesday. And the outbreak is likely to get even bigger or spread to other islands. The culprit is a nasty virus that causes a high fever, headache and arthritis-like pain in the joints. Symptoms usually clear up within a week or so, and the illness is rarely fatal. But there is no vaccine or treatment for chikungunya. The outbreak in St. Martin is the first time chikungunya has been contracted in the Western Hemisphere. And it doesn't look like the virus is going to leave the Caribbean anytime soon. 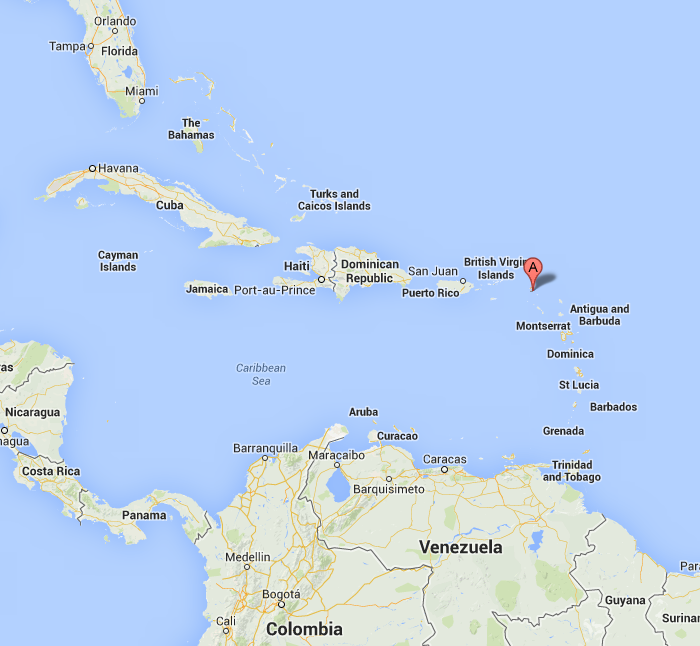 All 10 people infected with chikungunya on St. Martin hadn't traveled recently outside the island, the CDC said. That pattern suggests mosquitoes are carrying the virus around St. Martin and that people are being infected where they live rather than on trips. Chikungunya has been a problem in Africa and Asia since it was identified in Tanzania about 60 years ago. An outbreak in 2006 sickened more than 1.5 million people in India. Except for a small number of imported cases each year, chikungunya has stayed out of the Americas until now. But U.S. health officials have been on the lookout for its arrival. "Microbes know no boundaries, and the appearance of chikungunya virus in the Western Hemisphere represents another threat to health security," CDC director Dr. Tom Frieden wrote in statement Wednesday. "CDC experts have predicted and prepared for its arrival for several years, and there are surveillance systems in place to help us track it." With about 9 million Americans traveling to the Caribbean each year, the CDC anticipates chikungunya will be a more frequent visitor to the U.S. in the next few years. One of the mosquitoes that carries the virus -- the Asian tiger mosquito — is already a familiar pest in many parts of the U.S. during the summer.